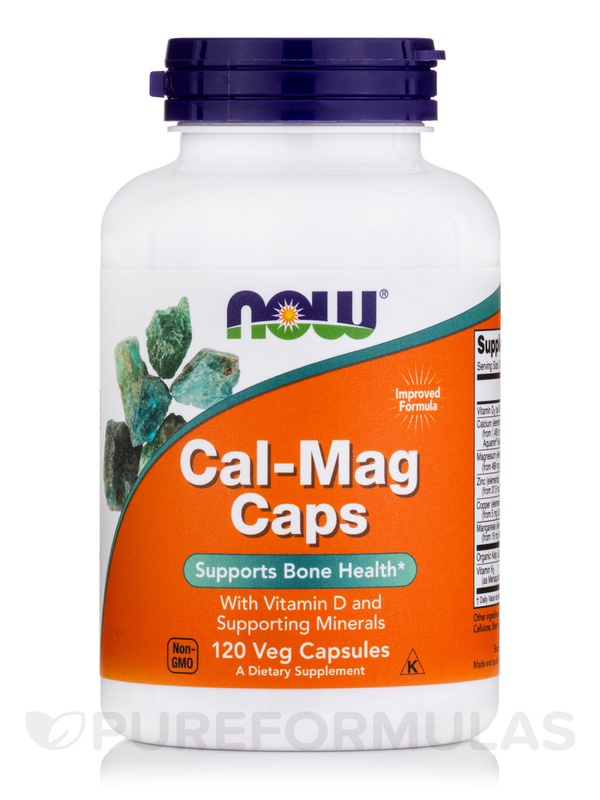 NOW® Cal-Mag Caps contains the minerals that are essential for bone health. 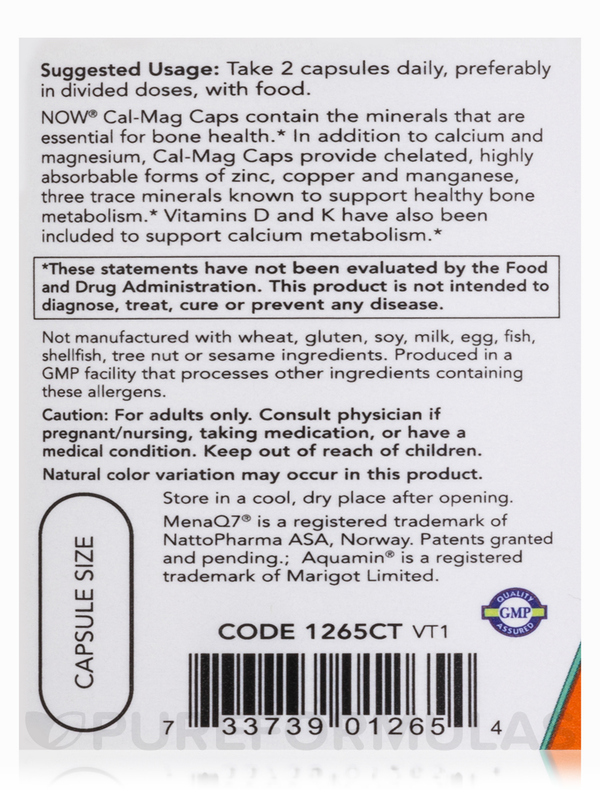 In addition to Calcium and Magnesium‚ Cal-Mag Caps provide chelated‚ highly absorbable forms of Zinc‚ Copper and Manganese‚ three trace minerals known to support healthy bone metabolism. 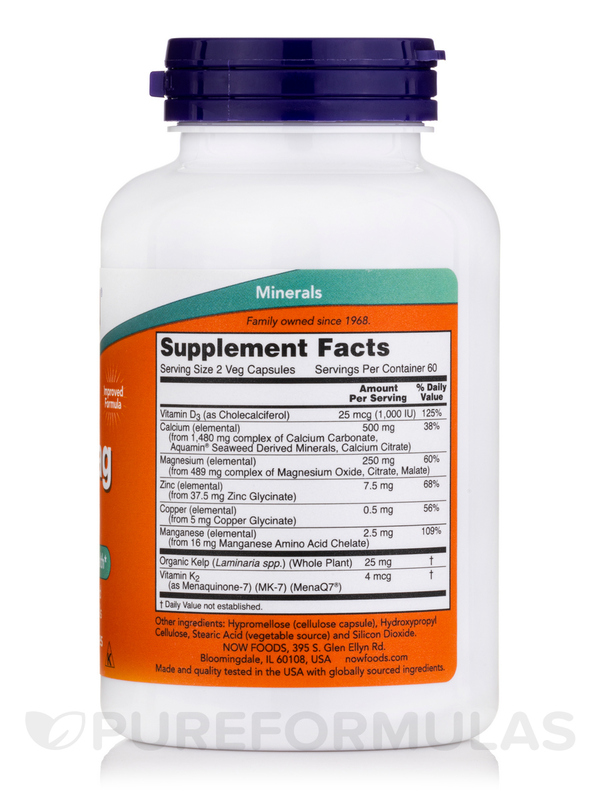 Vitamin D has also been included to support Calcium metabolism. 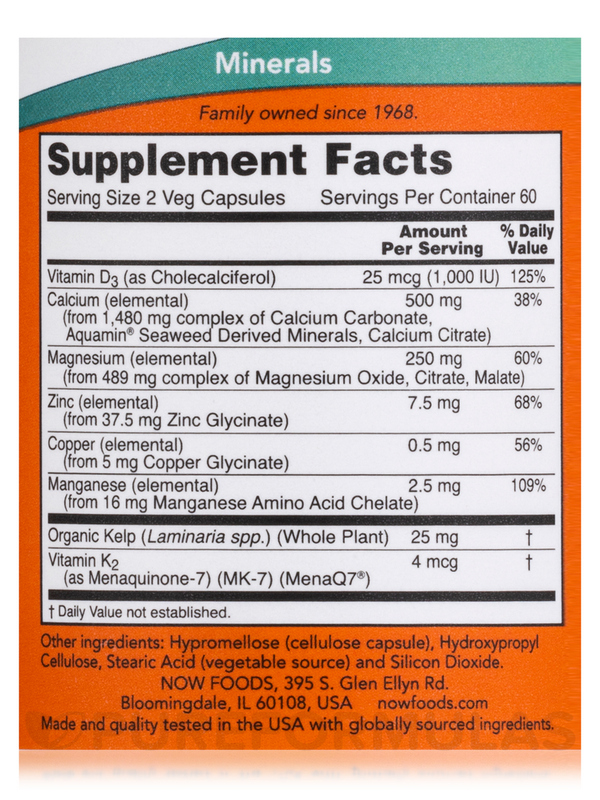 Other Ingredients: Gelatin (capsule) magnesium stearate (vegetable source) and cellulose. 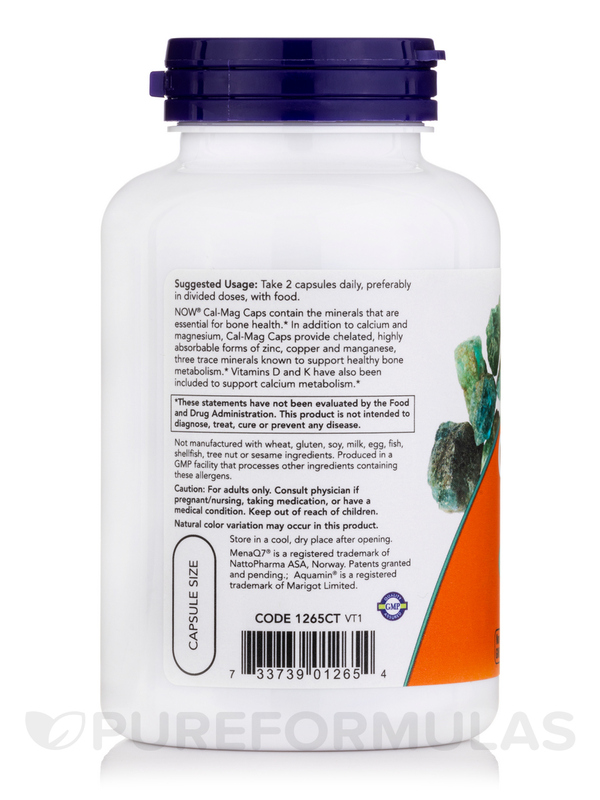 Take 2 capsules daily‚ preferably in divided doses‚ with food.